Do you buy a lot of groceries? 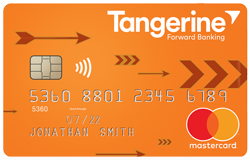 If yes, then the Tangerine Money-Back Credit Card is for you! The Tangerine Money-Back Credit Card will earn you 2% cash back on your grocery purchases.